Vertigo? Alpaca some coca leaves! 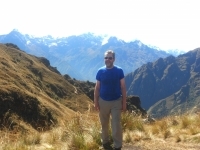 I had a terrific time on the Inca Trail. 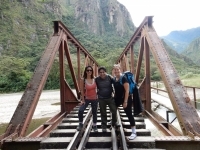 Although I have a fear of heights I wanted to complete the Inca Trail. The guides were fantastic, supporting me when the death defying drops appeared through the vegetation. 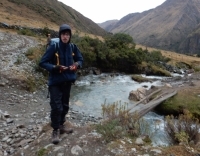 I highly recommend Inca Tral Reservations for your Salkantay Trek. Best experience I’ve had ! 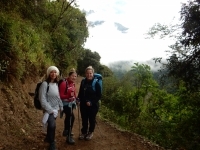 At first we I was worried that the trek would be too tough as we were trekking one of the best treks in the world ! However the guides were very informative, they did everything they could to make things easier for us. 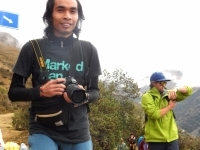 At first i was worried about the 5 day trek because I have never done such a crazy thing in my life. 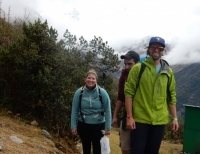 This Salkantay Trek was one of the best trips done while in Cusco, the people who go on the trip with you really make or break the trip. This was an fantastic and amazing track. This was the first time we did something like this. We were very nervous but even more excited. 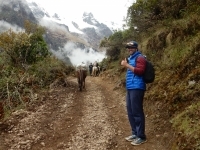 I wanted to visit Machupichu but wanted to try something different and after a bit of research i found the salkantay trek. 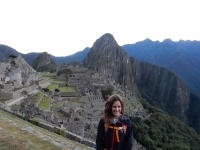 This was my first experience in Peru. My first time in South America, actually. Inca Trail Reservations went above and beyond for the beginning of the trip to the very end. 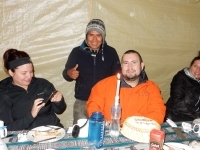 our guides, Roger and Juan, made sure that every guest was comfortable and happy from the time we woke up until we were comfortably in bed each night. the reasonable price for this trek had me suspicious at first, since so much was included but it lived up to the hype. They don't lie though, you need to bring layers. We were freezing one day and sweating the next. This was an amazing adventure. The food served was on point and delicious!! The views were picturesque. 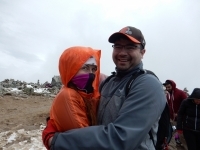 We booked our Salkantay adventure 3 days before we left. We didn't know much about it, but were ready for anything.